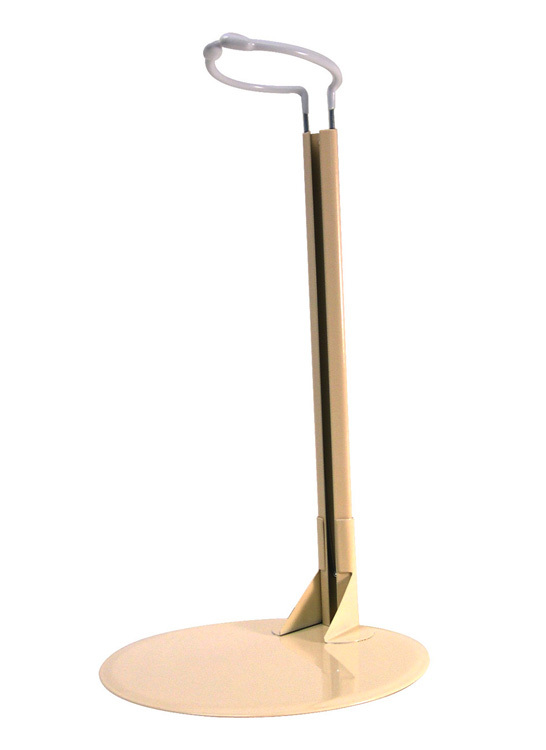 Doll Display Stands are ideal for displaying not only dolls but also action figures, soft art, teddy bears and more. Note: Arrow in photo shows how minimum display stand height is determined - with riser pushed down as far as it will go. Note: If your doll�s waist height is close to a doll stand�s maximum height you may want to consider getting the next larger size stand. Doll Display Stand. Waist-Hold Style. 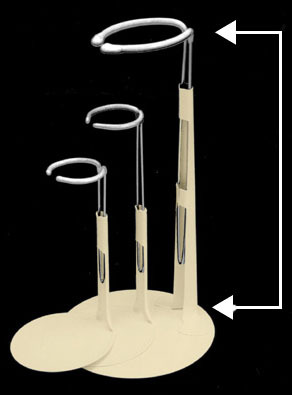 Vinyl-coated waist clamp is 3/4"W x 3/4"D and its height adjusts from 3" to 4"H. Metal base and post are flesh colored. Riser is chrome plated. Doll Display Stand. Waist-Hold Style. 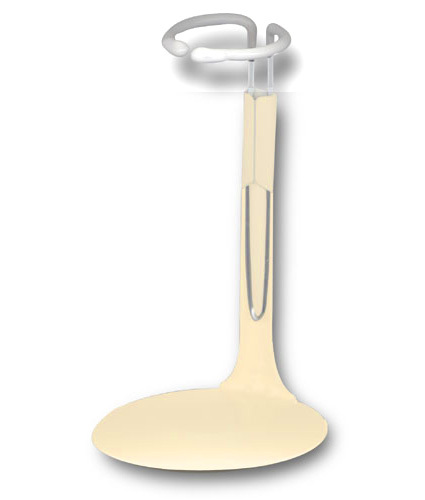 Vinyl-coated waist clamp is 1-1/4"W x 1-1/4"D and its height adjusts from 4" to 6"H. Metal base and post are flesh colored. Riser is chrome plated. Doll Display Stand. Waist-Hold Style. 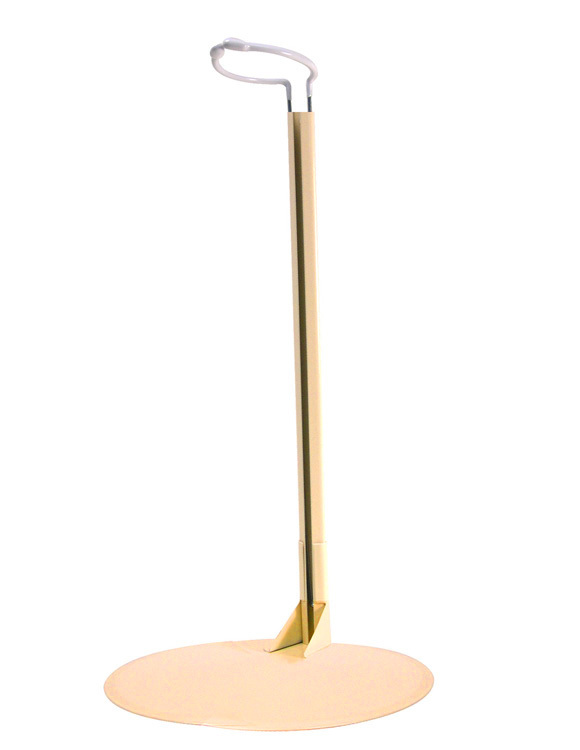 Vinyl-coated waist clamp is 1-1/4"W x 1-1/8"D and its height adjusts from 5" to 8"H. Metal base and post are flesh colored. Riser is chrome plated. Doll Display Stand. Waist-Hold Style. 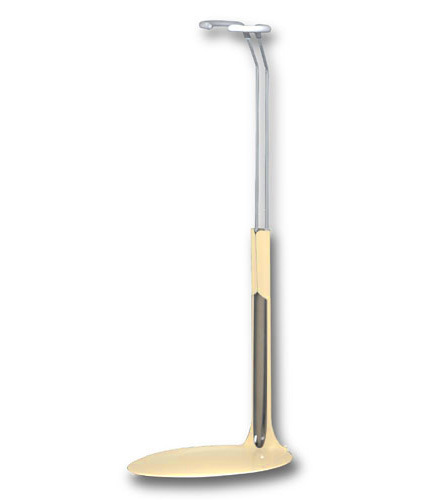 Vinyl-coated waist clamp is 1-3/4"W x 2-1/4"D and its height adjusts from 7" to 10"H. Metal base and post are flesh colored. Riser is chrome plated. Doll Display Stand. Waist-Hold Style. 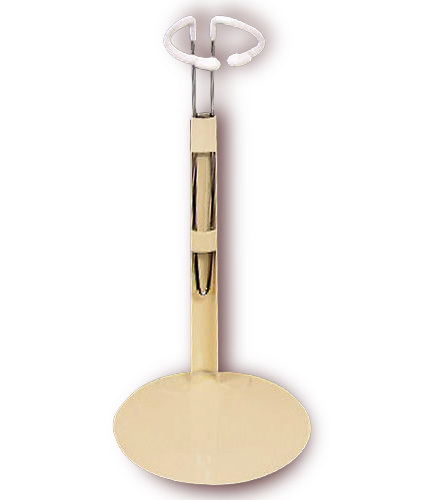 Vinyl-coated waist clamp is 1-5/8"W x 2-1/8"D and its height adjusts from 9" to 12"H. Metal base and post are flesh colored. Riser is chrome plated. Doll Display Stand. Waist-Hold Style. 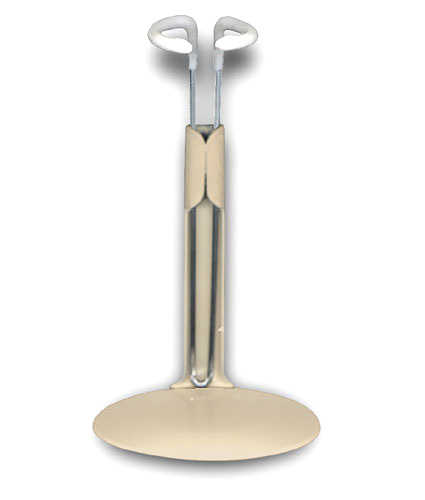 Vinyl-coated waist clamp is 1-3/4"W x 2-1/8"D and its height adjusts from 10" to 14"H. Metal base and post are flesh colored. Riser is chrome plated. Doll Display Stand. Waist-Hold Style. 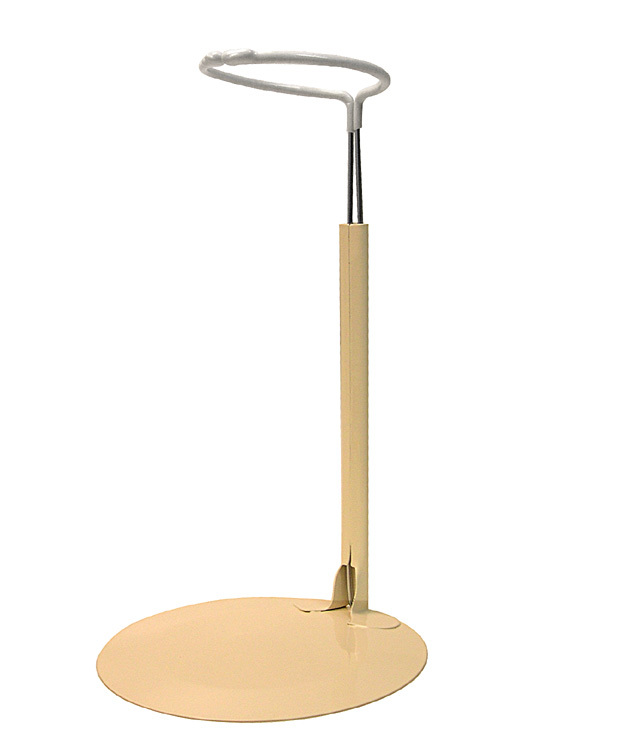 Vinyl-coated waist clamp is 3"W x 3-1/2"D and its height adjusts from 14" to 22"H. Metal base and post are flesh colored. Riser is chrome plated. Doll Display Stand. Waist-Hold Style. 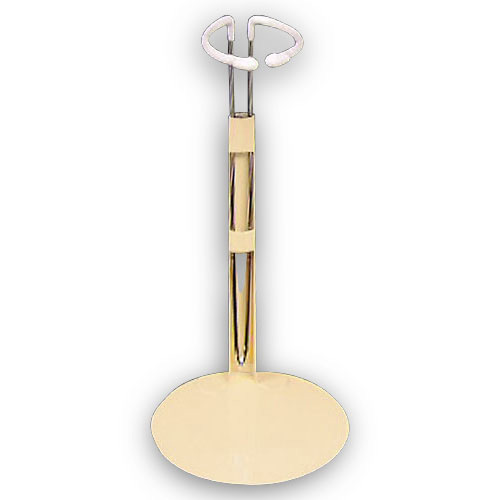 Vinyl-coated waist clamp is 3-1/2"W x 3-1/2"D and its height adjusts from 22" to 36"H. Metal base and post are flesh colored. Riser is chrome plated. Doll Display Stand. Waist-Hold Style. For BARBIE style dolls. 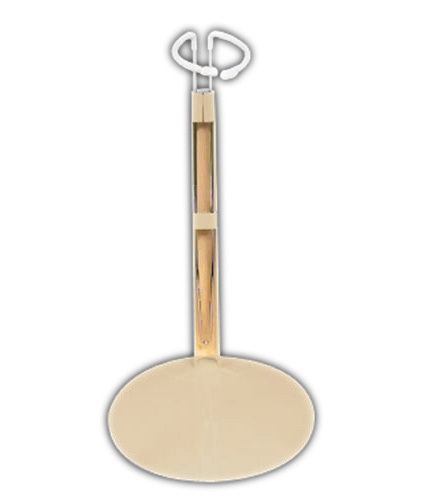 Vinyl-coated waist clamp is 1-1/4"W x 3/4"D and its height adjusts from 7" to 9"H. Metal base and post are flesh colored. Riser is chrome plated. Doll Display Stand. Waist-Hold Style. For CHUBBY style dolls. 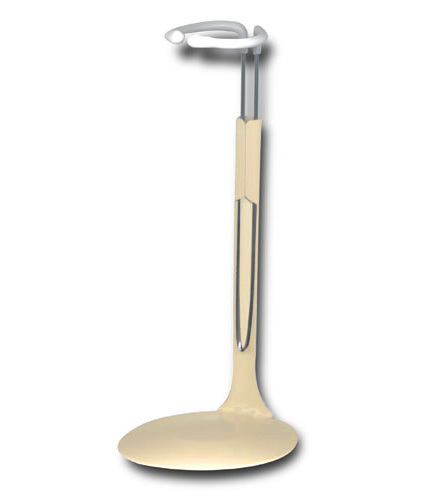 Vinyl-coated waist clamp is 3"W x 3-1/4"D and its height adjusts from 10" to 16"H. Metal base and post are flesh colored. Riser is chrome plated.